"This is so easy and delicious! 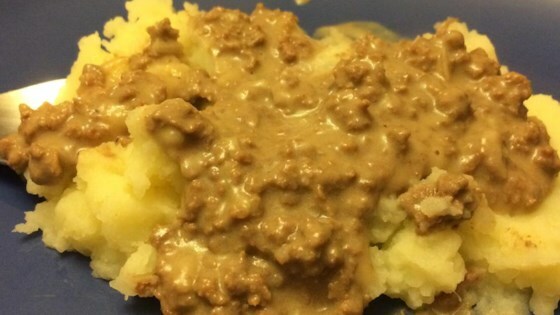 We have enjoyed hamburger gravy in our family for years." This was really good - I added some onion soup mix and some Worchestershire sauce for extra zip and it was a hit at our house.